Creator, host, and producer of The Game Awards, Geoff Keighley, has confirmed that there will be some type of Fortnite news during the show this Thursday. The news comes way of a recent Periscope where Keighley interacted with fans by answering their questions and did his best to tone down the fervor around a potential Splinter Cell reveal. At one point during the livestream, Keighley got on the topic of Fortnite, and during this process, confirmed, for the first time, that in addition to being at the show, the game will also have some news to share. "Fortnite was actually announced by CliffyB (Cliff Bleszinski, who was with Epic Games at the time) at the Video Game Awards 2011. [It was] a very different game, but yeah it was announced back then, and we're excited that they will be a part of the show." "We definitely have some Fortnite news. Donald Mustard (director on the game) will be here, and they are a nominee as well. So stay tuned for that." As mentioned above, we knew Fortnite was going to be there -- it's a nominee for multiple awards -- but this is the first time we're hearing it will have some type of news to share or announcement to make at the show. That said, it's not very surprising. 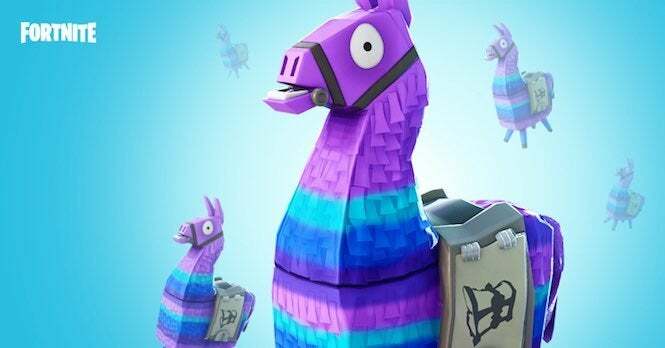 Fortnite remains the biggest game in the world, and has been basically since the last Game Awards. So, to get the game up on stage and have something to announce for it is a no-brainer. As for what type of Fortnite news we can expect. Who knows. Unfortunately, Keighley didn't divulged any further details. The Game Awards are scheduled to commence this Thursday on December 6. So, if Fortnite tickles your fancy, be sure to tune into the show to hear the news first. Fortnite is up for four awards at the show: best mobile game, best multiplayer game, best ongoing game, and best Esports game. You can find all of the show's nominations -- which are led by Red Dead Redemption 2 and God of War -- by clicking here.